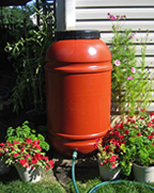 Residents can order their rain barrel online now at: http://upcycle-products.com/static.asp?path=7922 OR click the link below. To further promote the benefits of rainwater barrels, residents are asked to take pictures of installed barrels and send them to the Village at communications@westmont.il.gov. For more information about this program, contact Rose Gross at rgross@westmont.il.gov or call 630-981-6290.